My kids love fancy drinks. They love when I come up with something new for them. They love fruit, they love juice and they love when I put them together and call it punch. This is a refreshing drink, I like it to as it isn't too sweet. Strawberries, pineapple and orange work well together, but you can change the fruit depending on the season. Peaches, mangoes and blueberries are lovely also. 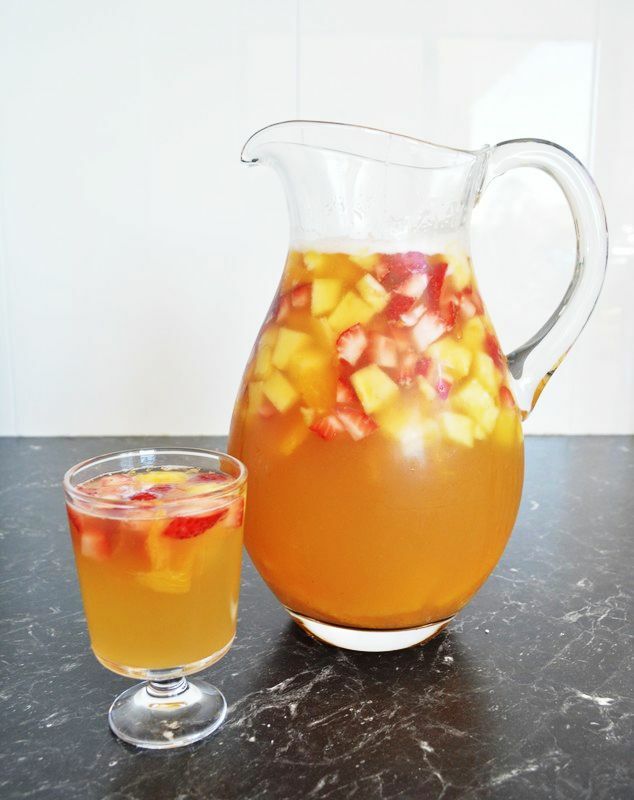 This is a perfect party drink for both adults and children. 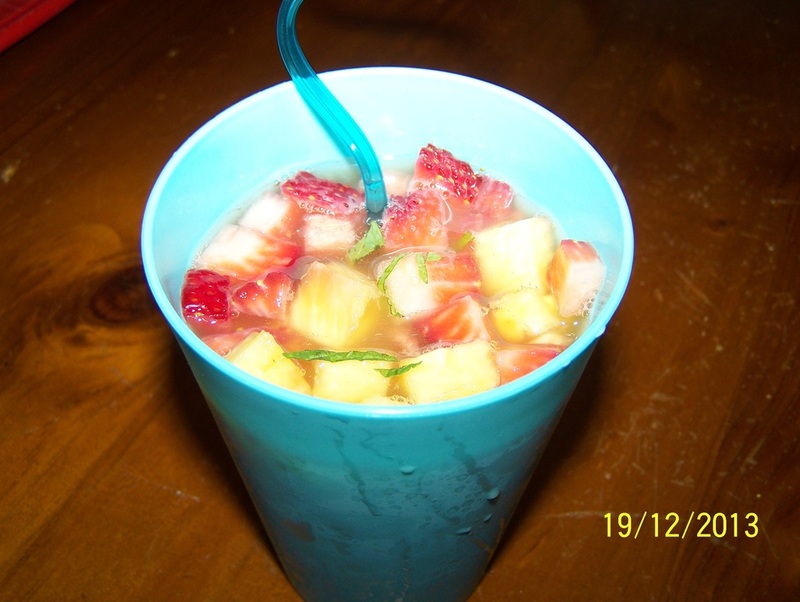 In a large punch bowl add the strawberries, pineapple and orange segments. Pour in the pineapple juice, dry ginger ale and lemonade. Stir gently to combine. Stir in the mint leaves. Just before serving add some ice to the glasses or add it to the punch bowl to make it really cold.